We’d love your help. 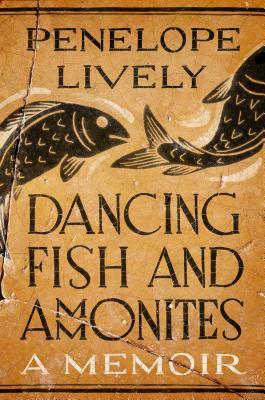 Let us know what’s wrong with this preview of Dancing Fish and Ammonites by Penelope Lively. To ask other readers questions about Dancing Fish and Ammonites, please sign up. Penelope Lively’s wonderfully rambling meditation on old age makes a profoundly important point: Old age, quite apart from its aches, pains, and progressive organ failures, is a liberation from that social peonage of personhood. Advanced age more than compensates for its inconveniences by eliminating this stigma. Because the old are hardly noticed in a culture of youth, we are able to drop our pretenses about who we are and how we fit in. We fly under the radar of society. Because we have lost our vigour, we are no longer expected to have ambitions or to visibly contribute to the well-being of the world. So we are left alone to do the things we’ve wanted to do all along. In more advanced societies, we are condescended to as at least slightly debilitated which entitles us to special privileges, putting us in ‘exempt’ categories - for things from theatre tickets, to bus passes, to television licenses, to prescriptions - which we exploit to the hilt. That is, the old enter into the glorious status of non-person. This gives us power that the young can’t even imagine. “I find that age has bestowed a kind of comfortable anonymity.. We are not exactly invisible, but we are not noticed,” says Lively. Oh, blessed impersonal existence! 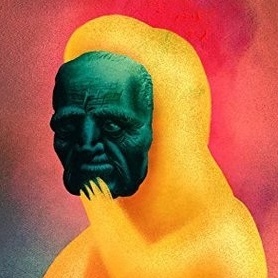 One becomes almost spiritualized: “The point here is that age may sideline, but it also confers a sort of neutrality; you are no longer out there in the thick of things, but able to stand back, observe, consider.” To be a judge, and not be judged. This is indeed power. The power is also psychological. Experience is not simply and accumulation of memories, it is also a successive construction of personalities. As Lively knows, “This old-age self is just a top dressing, it seems; early selves are still mutinously present, getting a word in now and then... I never imagined that old age would be quite like this – possibly because, like most, I never much bothered to imagine it.” Perhaps this is the real breakthrough of old age, to arrive at the realization that whatever we are, its not what we’ve thought much less what anyone else has thought. We have depth. We exude ambivalence. We are permanently mysterious. To paraphrase Oscar Wilde: Yes we contradict ourselves; we are manifold. And that is our secret power as human beings, a sort of senescent magic that dissolves personhood. Of course, while we have individually become non-persons, we have also assumed a collective political personality. This has always been a latent unrecognised consequence of democracy. Since we all expect to become part of the constituency of the aged, the old have always held the upper hand. It is not falling fertility rates but greater longevity that has turned the electoral minds of all but the very young to the economics of living in the end times. Lively summarizes the situation laconically, “The poor have always been with us, and now the old are too.” That presence is sociological as well as demographic, a hidden power shepherding in the fellow-travelers of the old despite any resentful resistance. So as Lively says, “A positive attitude is not going to cure the arthritis or the macular degeneration or whatever but a bit of bravado makes endurance more possible.” But that bravado is certainly not without foundation. And as things about power go, the power of the old is just about as egalitarian as it gets since we all get to share in it eventually. Not recommended for readers under 70 years of age. You just won’t get it behind the mask. Besides, we don’t want the secret to get out. At age 80 she reflects on time and memory, and discusses how her past shaped her then present and future, and how perceptions and attitudes have changed in time. She talks about stereotypes of old age, and also how the old and elderly become invisible to others. When she thinks about her past she expresses anger at herself for things done/not done/said/not said and other deficiencies. Yes, I can relate to that! She talks about how her reading has shaped her writing, and how her reading has come full circle in the sense that she loved certain authors when she was young, despised them in her middle years and is now returning to them. Yes, that resonates here too. I long to re-read some of the books that I read in my twenties. To her reading is “The one entirely benign mind-altering drug.”. She tells us which are her three desert island books. Besides books there are small pleasures more acutely experienced in old age. She talks about things she no longer wants, or wants to do. Yes, some of that rings a bell too, and so does the fact that words remain biddable (which means that she can continue to write), but names do not. She shares with us her fear of not being able to read in old age; I share that fear, and I also fear having a TV blaring rubbish and being helpless to do anything about it. From her point of view age 60 is just nicely matured but not old. Haha, at a mere 68 that makes me a spring chicken, and a lively one yet. She has some charming expressions for old age: “departure lounge", "holding pen”. Overall she is optimistic, and her optimism rubs off onto this reader. “One of the few advantages of age is that you can report on it with a certain authority; you are a native now, and know what goes on here. That, and the backwards glance – the identifying freight of a lifetime." "But more usually I find that age has bestowed a kind of comfortable anonymity." "We are not exactly invisible, but we are not noticed, which I rather like; it leaves me free to do what a novelist does anyway, listen and watch, but with the added spice of feeling a little as though I am some observant time-traveller, on the edge of things, bearing witness to the customs of another age." "Not only that, but we are aware of the change in ourselves – we are the same, but different, and equipped now with a comet trail of completed time, the memory trail." "We are who we are because we have that particular range of memories, which form our past as we know it." "We are all of us palimpsests; we carry the past around, it comes surging up whether or not we want it, it is an albatross, and a crutch." "We are robust about time, linguistically, we are positively cavalier about it – we make it, we spend it, we have it, we find it, we serve it, we mark it. Last time, next time, in time, half-time – one of the most flexible words going, one of the most reached for, a concept for all purposes. Time is of the essence, or it is quality, or time will tell. We talk about it … all the time, I find myself writing." "Reading in old age is doing for me what it has always done – it frees me from the closet of my own mind." After reading Dancing Fish and Amonites I feel like I've been on a retreat for a few days with an especially erudite friend talking the days away while taking a ramble on this or that trail, enjoying cups of tea (and perhaps a glass of wine or two) by the fire as we share our histories and thoughts on life. There is an intimacy as well as the intelligence of an ever questing mind that makes this book irresistible to me. Lively has written memoirs before, but this is her "view from old age", writt After reading Dancing Fish and Amonites I feel like I've been on a retreat for a few days with an especially erudite friend talking the days away while taking a ramble on this or that trail, enjoying cups of tea (and perhaps a glass of wine or two) by the fire as we share our histories and thoughts on life. There is an intimacy as well as the intelligence of an ever questing mind that makes this book irresistible to me. Lively has written memoirs before, but this is her "view from old age", written when she was eighty. She has divided the book into lengthy sections each exploring an aspect of old age. Old Age is the first, longest, and I think me favorite - but ask me tomorrow and I may say Memory or Life and Times are my favorite. I think I've already read the book at least one and a half times...it is heavily annotated by me - after all, I was engaged in a dynamic conversation! Naturally as a highly literate historian as well as author, the book abounds in quotes and references. She had the long view and reminds us how as recently as 1960 there were few who reached the age of 100. Gasp indeed at the statistic that by 2060 it is predicted there will be over 400,000 people over a 100 in Britain alone. Sociological changes aside, Lively explores many of the changes in her own life: "Can't garden. Don't want to travel. But can read, must read. For me, reading is the essential palliative, the daily fix." I am hoping, like her, that my eyes and mind hold out! I laughed when I read her enthusiastic " new reading, too, lots of it, reading in all directions, plenty of fiction, history, archaeology always, reading to satisfy perennial tastes, reading sideways, too -- try her, try him, try that, Amazon and Abe books would founder without me." Ahhhhh! In the second half of Time and Place she explores social change. The seismic changes of the past fifty years were feminism, the pill, sexual candor and homosexuality. "The unstoppable slide toward entire permissiveness, to a climate in which nothing is unmentionable and most of it is mentioned all the time." And where will we go next? of memory that most interests me - is the moth-eaten version of our own past that each of us carries around, depends on. It is our ID; this is how we know who we are and where we have been." Memory - oh my gosh isn't that the word we jest about for decades before we actually are old? Isn't that where we wonder if our sibling or our spouse was really present because their memory of that special event differs so greatly from ours? Lively gives some interesting scientific info here and addresses the current plague of dementia - but mostly explores how thinking about the distortions of memory has influenced several of the novels she has written in Moon Tiger and The Photograph. She writes, " I have learned to be suspicious of memory - my own, anyone's- but to accord it considerable respect." Memory is fertile ground for novelists! I loved her chapter on Reading and Writing. One of my favorite lines is "I can measure out my life in books. They stand along the way like signposts: the moments of absorption and empathy and direction and enlightenment and sheer pleasure!" I know I will be returning to this section again and again - pencil in hand. Wouldn't that be an interesting personal timeline: the signposts of books read from day 1...I know my first three! Her last section is titled Six Things and fascinated me for what they told about her life and interests and her character. Then it challenged me to consider what six things I might select. I have friends downsizing to smaller living accommodations and I'm appalled at how easily they rid themselves of their books - but would one book become my talisman? And what other objects might define me??? I'm still working on that! She can be quite funny: "I've never believed travel broadens the mind, having known some well-travelled minds that were nicely atrophied"
The subtitle of this book is "A Memoir". But it is not a memoir in the traditional sense of covering a person's life chronologically. In fact, the author says in this book that she has no interest in writing that kind of memoir. Rather it is a book of musings and reminiscences about her life, largely concerned with getting old (she was 80 when she wrote this book in 2013). I will be 63 in March so I have to say it was very encouraging to find out that, despite her age and a few health issues, she The subtitle of this book is "A Memoir". But it is not a memoir in the traditional sense of covering a person's life chronologically. In fact, the author says in this book that she has no interest in writing that kind of memoir. Rather it is a book of musings and reminiscences about her life, largely concerned with getting old (she was 80 when she wrote this book in 2013). I will be 63 in March so I have to say it was very encouraging to find out that, despite her age and a few health issues, she still very much enjoys herself. A substantial amount of the book is taken up by her love of reading and the authors that she loved when she was younger and those that she enjoys now. Again, I was happy to find out that her passion for reading has not diminished with age, as reading is probably the biggest part of my life. I began on a spring morning in the Anglo-American Hospital in Zamalek, which was a residential suburb on Gezira, the island in Cairo’s Nile; 17 March 1933. Elsewhere, things were going on that would lead to turmoil in North Africa in a few years’ time; my parents’ lives would be affected, and mine, but they were comfortably oblivious that morning, and I was tucked up in a crib, the feet of which stood in tin trays of water, because there had been instances of ants getting at newborn babies. Towar I began on a spring morning in the Anglo-American Hospital in Zamalek, which was a residential suburb on Gezira, the island in Cairo’s Nile; 17 March 1933. Elsewhere, things were going on that would lead to turmoil in North Africa in a few years’ time; my parents’ lives would be affected, and mine, but they were comfortably oblivious that morning, and I was tucked up in a crib, the feet of which stood in tin trays of water, because there had been instances of ants getting at newborn babies. Towards the end of my own stint I find myself thinking less about what has happened to me but interested in this lifetime context, in the times of my life. I have the great sustaining ballast of memory; we all do, and hope to hang on to it. I am interested in the way that memory works, in what we do with it, and what it does with us. And when I look around my cluttered cluttered house – more ballast, material ballast – I can see myself oddly identified and defined by what is in it: my life charted out on the bookshelves, my concerns illuminated by a range of objects. I have no idea why, but Penelope Lively's book seems to go by various titles. Another one seems to be Ammonites and Leaping Fish: A Life in Time, which is a bit confusing when you're trying to find the book but at the same time makes it really easy to tell someone else what the title is because inevitably any one of the variations on the title may bring up the book in a search. Leaping Fish, Dancing Fish... at least the Ammonites seem to be present in all of them. Anyway, this book is my RL book club's read for this month and it is the first of their picks that I have really enjoyed. It is not a perfect book, but I was glued to Lively's essays on ageing, memory, her own story, her accounts of history, and her musings on life, on reading. As it turns out, she seems to be an author that I share some interests with and whose thought-process I find both inspiring and, not easy to follow exactly, but neatly cutting to salient points without a lot flourish. What I mean is, she gets to the point. I like that. You aren’t going to get old, of course, when you are young. We won’t ever be old, partly because we can’t imagine what it is like to be old, but also because we don’t want to, and – crucially – are not particularly interested. We are too keen to bundle everyone by category; as a child, I used to be maddened by the assumption that I would get along famously with someone just because we were both eight. All that we have in common, we in this new demographic, are our aches and pains and disabilities – and, yes, that high C evoked by Anthony Burgess. For the rest of it, we are the people we have always been – splendidly various, and let us respect that. Whether it were her thoughts on old age, or her dissection of the Suez Crisis (which, btw, I found particularly fascinating in that horrifying way that history has when it becomes clear just how stupid and reckless politicians are when gambling with people's lives), or her description of how much she loves reading and how books are part of her life (Right on, Penelope! ), I will be returning to this book to re-read certain sections. Can’t garden. Don’t want to travel. But can read, must read. For me, reading is the essential palliative, the daily fix. Old reading, revisiting, but new reading too, lots of it, reading in all directions, plenty of fiction, history and archaeology always, reading to satisfy perennial tastes, reading sideways too – try her, try him, try that, Amazon and AbeBooks would founder without me; my house is a book depository – books in, books out (to family and friends, to my daughter’s Somerset cottage where there is still some shelf space, to wonderful Book Aid which sends English language books to places where they are needed). Despite all my enthusiasm for this book, it is not without faults. They show up especially when compared to Lively's fiction, which has structure - as story-telling tends to do. This, her memoir, does not stick to that prescribed architecture of beginning, middle, end, with a relevant flow of narrative. It is a memoir, in a way, but certainly not anything that could be referred to for chronology. In this book, Lively dissects topics - old age, memory, the individuals place in collective history - and connects them to her own life. It is ... messy ... in parts. Yet, I actually found that aspect charming. Others may not. I wondered if I was a fraud of some sort for wanting to read the memoir of a writer for whom I actually haven't read any of her books. I've hovered around her, intrigued by her novels when I worked with them in the bookstore, but failed until now to actually commit to one. But I'm glad to have read her memoir before exploring her backlist. Although, as she says, "This is not quite a memoir. Rather, it is the view from old age..." Although the structure feels just a bit cobbled together, I mean th I wondered if I was a fraud of some sort for wanting to read the memoir of a writer for whom I actually haven't read any of her books. I've hovered around her, intrigued by her novels when I worked with them in the bookstore, but failed until now to actually commit to one. But I'm glad to have read her memoir before exploring her backlist. Although, as she says, "This is not quite a memoir. Rather, it is the view from old age..." Although the structure feels just a bit cobbled together, I mean this in only the most positive way. The sections in my ARC (provided by Penguin/Viking) are labeled Old Age, Life and Times, Memory, Reading and Writing, Six Things. In each section, she skillfully blends social history with her own history and her involvement in and feelings about the events. Old Age, for example, includes her very personal perspectives about both the positive and negative effects of aging, and also the broader context of Britain's (and the world's) aging populations, and how elderly people have been viewed through time by different cultures. I loved her insights into how the elderly are often perceived by the younger generations, saying that while it's easy for an older person to get caught in the loop of commiserating on their own lives and stories, the reality is that they are still here with us, and should strive to be a part of what is actually happening around them, in real time and real life. Since my copy is an ARC, I can't really quote Lively's insights in my review, which is the first time with an ARC that this restriction has truly frustrated me. I've worked around this before, but her observations are so insightful and so cleverly formed, one wants to quote from her endlessly, to make sure that her brilliance is best imparted. Lively's writing is intelligent, elegant, affecting. Although I'd hoped that Reading and Writing would relate more of her day-to-day techniques for writing her stories, I was easily mollified by her revelations of books that have inspired, influenced, and shaped her own writing. I am now walking away not only with a list of her novels to check out but also books and authors I'm only vaguely familiar with or haven't even heard of (which is saying a lot for me), that I'd like to explore, based on her illuminating descriptions and patronage. My favourite section of the book is the final one, Six Things. In this, she presents six seemingly random objects from her home and explains their provenance, their effect on her life, why they're her favourite things. Photographs are included. This is where the title comes from: one object is an ancient Egyptian sherd (yes, sherd - not shard - a broken piece of pottery), on which two small black fish dance. Another is a pebble of blue lias, inset with two spiraled, fossilized ammonites. She balances such ancient treasures with more common objects, like the duck kettle holders from Maine. These lovingly described objects made me think about those items that I personally have chosen to keep around, despite a tendency in the last decade to ruthlessly cull my own possessions to a minimum. Some are also potential treasures in the minds of others, but some are trinkets, valued only by myself because of my emotional history with them. This was a memoir I had to read ... for many reasons. Lively has long been one of my favorite novelists, a Booker Prize winner (although her Booker Prize winner, Moon Tiger, is very good, it is by no means my favorite of her work), the female author I've read more of than any other over a lifetime of reading. Indeed, I fondly remember - in the 1980's and early 1990's - buying her earlier works in London bookstores (Foyle's - remember Foyle's, wow! - or Blackwell in Oxford or...) before all of he This was a memoir I had to read ... for many reasons. Lively has long been one of my favorite novelists, a Booker Prize winner (although her Booker Prize winner, Moon Tiger, is very good, it is by no means my favorite of her work), the female author I've read more of than any other over a lifetime of reading. Indeed, I fondly remember - in the 1980's and early 1990's - buying her earlier works in London bookstores (Foyle's - remember Foyle's, wow! - or Blackwell in Oxford or...) before all of her work became so widely available here in the U.S. I always adored her (sparse but effective) prose, her observant eye, her window into the human experience, her consistency. And now, having passed into her ninth decade, she looks back. Granted, this is a very different vehicle than her prior, highly stylized childhood retrospective, Oleander, Jacaranda. Was her life so unique that it merited two memoirs? Why not? First, the two memoirs are very different, indeed. More importantly, what a life! Raised in Egypt, displaced and exiled to the UK by WWII, and a relatively circuitous path to being a highly prolific, respected novelist. From observing Charles de Gaulle in his dressing-gown as a child to becoming Dame Commander of the Order of the British Empire (which, of course, doesn't even merit mention in this memoir), it's an extraordinary life. Granted, in the Internet era, we (often) are able to learn as much (or too much) about authors (or celebrities, generally) as we'd want to know. But this is her story, and therein lies the attraction. 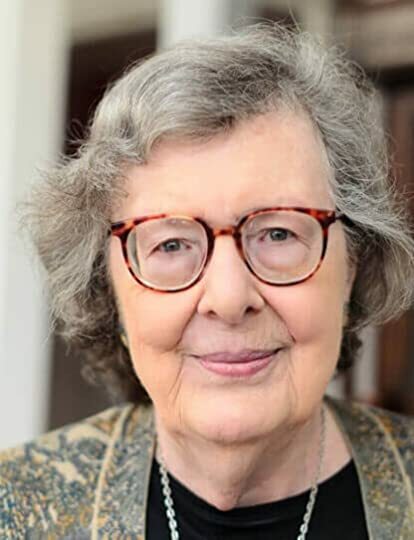 A beautiful memoir of aging, reading, writing, family, history; Penelope Lively sat down to write about the things that have been most important to her. She was 80 at the time of writing, and although her body is breaking down and often painful, her mind is as sharp as ever, and as she says "memory is the mind 's triumph over time." She has the same wish as me in her time remaining; that her eyes continue to serve her, because losing the ability to read would be the worst tragedy she can imagine A beautiful memoir of aging, reading, writing, family, history; Penelope Lively sat down to write about the things that have been most important to her. She was 80 at the time of writing, and although her body is breaking down and often painful, her mind is as sharp as ever, and as she says "memory is the mind 's triumph over time." She has the same wish as me in her time remaining; that her eyes continue to serve her, because losing the ability to read would be the worst tragedy she can imagine. More musing than memoir, Penelope Lively writes of aging, memory, reading and the role of history in our lives. Since these are all topics that fascinate me, and because I've recently come to enjoy her fiction writing, I was enchanted and charmed by these essays. I cannot claim Lively as a contemporary as I am neither 80 nor English, but I do believe she'd be the kind of friend I like. I share some of her sensibilities and so I read this all the while thinking, "Yea, this is exactly what I would More musing than memoir, Penelope Lively writes of aging, memory, reading and the role of history in our lives. Since these are all topics that fascinate me, and because I've recently come to enjoy her fiction writing, I was enchanted and charmed by these essays. I cannot claim Lively as a contemporary as I am neither 80 nor English, but I do believe she'd be the kind of friend I like. I share some of her sensibilities and so I read this all the while thinking, "Yea, this is exactly what I would write." I stopped often to re-read certain sentences. Just a lovely read. I do enjoy Penelope Lively. Brisk, wry, to the point, keen eye, sharp mind, wonderful turns of phrase. The very first sentence of the Preface announces 'This is not quite a memoir. Rather, it is the view from old age. And a view of old age itself, this place a which we arrive with certain surprise - ambushed, or so it can seem'. She goes on to say that she finds herself thinking less about her own life than about the times she has lived in - 'the times of her life', and 'the great sustaining balla I do enjoy Penelope Lively. She goes on to say that she finds herself thinking less about her own life than about the times she has lived in - 'the times of her life', and 'the great sustaining ballast of memory'. This book was prompted by age, memory, time and the clutter of material ballast in her house - books, objects, the dancing fish pot sherds and ammonites of the title. A book review in the New York Times moved me to read this book which the Boise Public Library owned. From the introduction I knew I was going to consider this one of the finest memoirs I've ever read, and by the last line, my certainty was confirmed. More, I felt that I had made a friend, one who shares and is able to articulate the concerns of aging, the love of books, the changes in desires (to travel or not to travel, that is a question), the changes in acquisitiveness, the changes to memory. A book review in the New York Times moved me to read this book which the Boise Public Library owned. From the introduction I knew I was going to consider this one of the finest memoirs I've ever read, and by the last line, my certainty was confirmed. More, I felt that I had made a friend, one who shares and is able to articulate the concerns of aging, the love of books, the changes in desires (to travel or not to travel, that is a question), the changes in acquisitiveness, the changes to memory. "There is a further dimension to memory; it is not just a private asset, but something vast, collective, resonant. And all because fragments of detritus [shard of leaping fish] survive, and I can consider them." Reading the memoir has moved me to buy this book to add as one of my own six things that "articulate something of who I am." I found this a very enjoyable and interesting "view from old age". A wry and erudite reflection on the experience of being 80, memory, changing perspectives, history, books and artifacts and their associations. This book was my selection for a Book Club discussion. I am a Penelope Lively fan of longstanding and had only recently noticed this "memoir". There are some oddities - like editions of the book with the title reversed. My copy was entitled Ammonites and Leaping Fish. As others have pointed out, this is not a memoir, but rather a collection of reminiscences and reflections. Her writing is as engaging as ever, her turn of phrase in particular is both charming and spot-on. She so often gets it - in This book was my selection for a Book Club discussion. I am a Penelope Lively fan of longstanding and had only recently noticed this "memoir". There are some oddities - like editions of the book with the title reversed. My copy was entitled Ammonites and Leaping Fish. As others have pointed out, this is not a memoir, but rather a collection of reminiscences and reflections. Her writing is as engaging as ever, her turn of phrase in particular is both charming and spot-on. She so often gets it - in every sense of that phrase. "You start reading a novel with no idea where this thing is going to go; you should finish it feeling it could have gone no other way." I enjoyed much of this book, in particular, the sections on memory and on writing.
" the antechamber of the novel I am writing seems a murky place in which I can rummage around and pounce upon promising fragments: character A can suddenly remember this event, character B can challenge character A by evoking some long-ago behaviour. The infinity of choice is at work; I don’t actually need to know everything that went before, just the things that are pertinent to the narrative in hand, that may affect it in the way that memory affects real life." I was nevertheless frustrated. The book's meandering quality is closer to conversation than writing. I wanted to argue with her - to challenge some of her assumptions and assertions ( - those about reading electronic books, for starters!). The style triggers that, but provides no outlet. It's a bit of a literary cheat. She eschews analysis in this book - unfortunately, it seems to me. While I am pleased to have read parts of this book, a more interesting one would be written by Penelope Lively rummaging around in it and creating a pertinent narrative. Enchanting memoir written at the age of reaching 80, that I read off and on in the course of just over a day between visitors. It's Penelope Lively at her most candid and most exquisite. The first section was exceptionally scrumptious as it SO applies to most all of us who have reached what is currently considered "old". Memory and movement sections were OUTSTANDING. And that generic "old" age category has changed, but has our human physicality changed? And what does age do to certain sensibilit Enchanting memoir written at the age of reaching 80, that I read off and on in the course of just over a day between visitors. It's Penelope Lively at her most candid and most exquisite. The first section was exceptionally scrumptious as it SO applies to most all of us who have reached what is currently considered "old". Memory and movement sections were OUTSTANDING. And that generic "old" age category has changed, but has our human physicality changed? And what does age do to certain sensibilities and perceptions? She just nailed it. And we (the older and oldest)ARE all quite different, but in some aspects still have some common variables of shared era and much else. This book details her own life in the remaining portions of the book and ends with sections on 6 artifact items she possesses and the details that make them say "Penelope" at her core. Although she is about 15 years older than, I could absolutely feel and connect with her memory and perception sections. And how surprising it seems when it happens. The care you give to movement, and the desire for certain most loved activities falling quite away. And others that come in huge measure to surmount them and give you real periods of wonder. As a traveler, who lived to "go"- OH, I hear her on the traveling desire section. I'm not at the point where she is yet but I am beginning to feel just exactly as she described. No more desire for Peruvian ruins anymore, but quite a different direction. Some years ago I read and enjoyed Penelope Lively's memoir of her childhood in Cairo (Oleander, Jacaranda). Now over eighty, Lively has taken a different approach to memoir, using five chapters to explore her reflections on old age, life and times (the major historical events and social changes of her lifetime), memory, reading and writing and a chapter she calls Six Things in which she describes the importance of six of her personal possessions. I'm giving it four stars - not so much for the bo Some years ago I read and enjoyed Penelope Lively's memoir of her childhood in Cairo (Oleander, Jacaranda). Now over eighty, Lively has taken a different approach to memoir, using five chapters to explore her reflections on old age, life and times (the major historical events and social changes of her lifetime), memory, reading and writing and a chapter she calls Six Things in which she describes the importance of six of her personal possessions. I'm giving it four stars - not so much for the book itself (well written though it is) but for the way it invoked thoughts and memories of my own. Beginning at the end, I was fascinated by her six possessions (two of which give rise to the title of the book) and the connections she made through them to friendships, hobbies and broader interests. My first reactions was that I didn't have such things - I'm a minimalist when it comes to home decoration. But then I thought more about it and, yes, I could identify my collection of ornaments and paintings featuring eucalyptus trees or leaves (reflecting my love of the Australian bush), the magnificent bed quilt made for me by a lifelong friend and a set of wise owl wind chimes a friend gave me for my 70th birthday. All could tell a story or two. Photographs of course, and books. In her chapter on reading and writing, Lively talks about the books she remembers from her childhood and adolescence and her abiding love of certain writers and how reading has influenced her own writing work. Talking with others about the books they remember, especially from childhood, is always interesting. Partly it demonstrates how times change and how some really appalling books enthralled us at a particular time of our lives; partly it shows the enduring appeal of certain themes and stories. My reading was basically what was on our bookshelves at home (my mother's love of poetry, my sister's collections of the Billabong or LM Montgomery books, my uncle's collection of 'Clive of India' (my goodness!) The cadences of the King James Bible were also hugely influential on my understanding and love of language, as they were for Penelope Lively. And so I could go on - thinking about the major events that have had an impact on me - some the same as for Lively (the Cuban missile crisis, the fear of the bomb, the rise of feminism, the fall of communism) while others were specific to my experience as an Australian - the Vietnam War for example. I love Penelope Lively's fiction. I enjoyed Dancing Fish as a behind the scenes look at Penelope Lively's life and her thoughts on aging, memories, and reading. However, I'm sure that it's her fiction I'll end up rereading and not this book. I enjoyed these musings of Penelope Lively's, but if you haven't read her fiction before, or if you've found your way to her through this memoir and are wondering about a different recommendation. . . please, go read Moon Tiger. Ik las dit boek bewust na "A god in ruins" van Atkinson omdat het ongeveer dezelfde periode bestrijkt en ook over "de oude dag" gaat - iets waar we (hopelijk allen) naartoe evolueren. Dit boek is een ander soort autobiografie, het is een analyse over onze verschillende soorten geheugen, over het belang van geschiedenis. Het is ook haar autobiografie als lezer, van haar vroege jeugd in het mondaine Kairo tot haar huidig leven in London, het is dit lezer zijn dat haar tot schrijver maakt en ook tot Ik las dit boek bewust na "A god in ruins" van Atkinson omdat het ongeveer dezelfde periode bestrijkt en ook over "de oude dag" gaat - iets waar we (hopelijk allen) naartoe evolueren. Dit boek is een ander soort autobiografie, het is een analyse over onze verschillende soorten geheugen, over het belang van geschiedenis. Het is ook haar autobiografie als lezer, van haar vroege jeugd in het mondaine Kairo tot haar huidig leven in London, het is dit lezer zijn dat haar tot schrijver maakt en ook tot de persoon die ze nu is. "What we have read makes us who we are - quite as much as what we have experienced and where we have been and who we have known. To read is to experience." Het is ook een vertellen van een leven aan de hand van 7 dingen die haar dierbaar zijn, van een ammoniet tot een potscherf. Aan de hand van die potscherf legt ze bvb uit waarom ik zo wild werd gisteren van dat Pictish kruis uit de 8ste eeuw. Ze is een vrouw naar mijn hart en heeft me daar geraakt. Ze zette me ook op het spoor van andere boeken zoals bvb "Nothing to be frightened of" van Julian Barnes. Ze geeft ons een zicht op de "oude dag" en wijst ook op het belang van dagboeken. "... a productive personal exercise... to trace the narrative thread, to look at the roads not taken, to see where you began and where you have got to." Three and a half stars overall, but I rate the opening chapters on old age as four and a half. Penelope Lively's take on old age is spot on. "...we feel much the same, but clearly are not." Lively notes that "'old' is never a fixed feast" citing a Uganda tribe in the mid-twentieth century, on subsistence living where the old were in their forties. She astutely notes that "We (the aged) have not been, in the past, and are not so much around still in some parts of the developing world. But in the Three and a half stars overall, but I rate the opening chapters on old age as four and a half. Penelope Lively's take on old age is spot on. "...we feel much the same, but clearly are not." Lively notes that "'old' is never a fixed feast" citing a Uganda tribe in the mid-twentieth century, on subsistence living where the old were in their forties. She astutely notes that "We (the aged) have not been, in the past, and are not so much around still in some parts of the developing world. But in the West we are entrenched, bolstered by our pensions, brandishing our senior discount passes, cluttering up the doctors' offices, with an average life expectancy of around eighty." Old age, according to the Dept. of Work &Pensions, starts at 59, while youth ends at 49; but, says this sage author, "it all depends where you happen to be standing yourself." From her vantage point of eighty years, she wisely notes, "people over eighty believe sixty-eight to herald old age, while fifty-two is the end of youth." Further on the author remarks that she has too many vigorous and active friends in their late sixties so decides the neat number seventy should signal the.brink of old age! I love it. From the Booker Prize-winning novelist, a scattered meditation on old age and the workings of memory. Tracing a random path through her personal library of reading, experiences and possessions, she ponders whether one remains the same person all through a long life. Though Lively’s recollections make for a pleasant read, do not expect them to add up a cohesive memoir – or you will surely find yourself disappointed. Like the archaeologist manquée she has always considered herself, Lively measures From the Booker Prize-winning novelist, a scattered meditation on old age and the workings of memory. Tracing a random path through her personal library of reading, experiences and possessions, she ponders whether one remains the same person all through a long life. Though Lively’s recollections make for a pleasant read, do not expect them to add up a cohesive memoir – or you will surely find yourself disappointed. Like the archaeologist manquée she has always considered herself, Lively measures out her life through books and other artefacts. A less successful version of Diana Athill’s Somewhere Towards the End (for which, see my review here). Penelope Lively is the author of many prize-winning novels and short-story collections for both adults and children. She has twice been shortlisted for the Booker Prize: once in 1977 for her first novel, The Road to Lichfield, and again in 1984 for According to Mark. She later won the 1987 Booker Prize for her highly acclaimed novel Moon Tiger. Her other books include Going Back; Judgement Day; Nex Penelope Lively is the author of many prize-winning novels and short-story collections for both adults and children. She has twice been shortlisted for the Booker Prize: once in 1977 for her first novel, The Road to Lichfield, and again in 1984 for According to Mark. She later won the 1987 Booker Prize for her highly acclaimed novel Moon Tiger. Her other books include Going Back; Judgement Day; Next to Nature, Art; Perfect Happiness; Passing On; City of the Mind; Cleopatra’s Sister; Heat Wave; Beyond the Blue Mountains, a collection of short stories; Oleander, Jacaranda, a memoir of her childhood days in Egypt; Spiderweb; her autobiographical work, A House Unlocked; The Photograph; Making It Up; Consequences; Family Album, which was shortlisted for the 2009 Costa Novel Award, and How It All Began. She is a popular writer for children and has won both the Carnegie Medal and the Whitbread Award. She was appointed CBE in the 2001 New Year’s Honours List, and DBE in 2012.